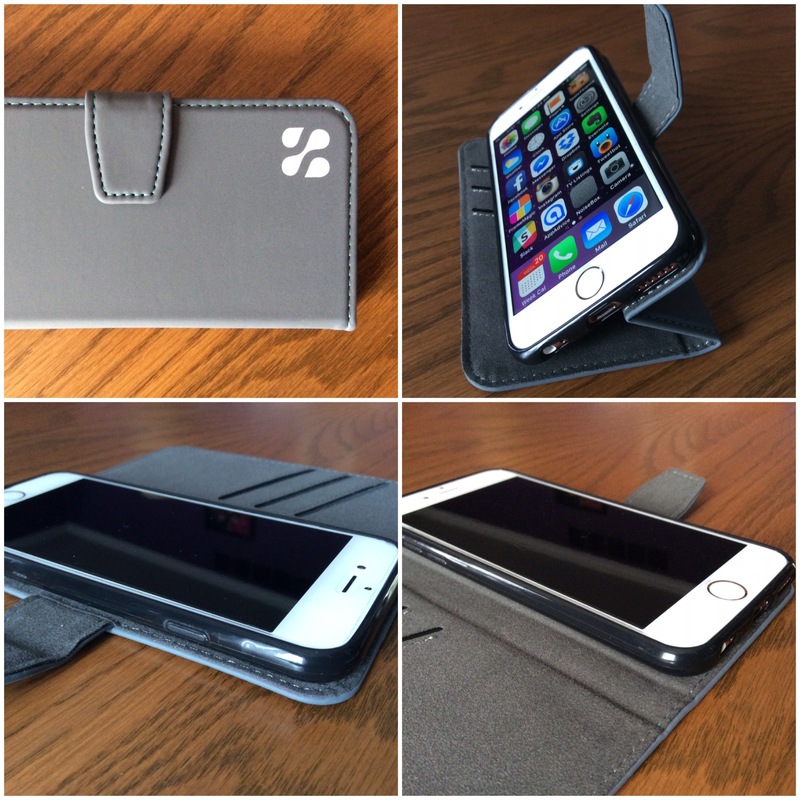 SafeSleeve cases protect your electronic devices with style. But they also have a deeper purpose. Some people are concerned that radiation from our cell phones and laptops could be damaging to our health. I’m not a scientist, so I won’t make any statements on the subject one way or another. You can read more about the topic here if you’re interested. I will review these products based only on my experience with them. SafeSleeve for Laptop 2.0 fit my 13’ MacBook Pro perfectly. Unlike other sleeves I own, this one is quite rigid on the top and bottom, so it feels like it would protect my laptop from impact really well. The edges of the case are a soft, stretchy material, so the case can stretch to accommodate different laptops. 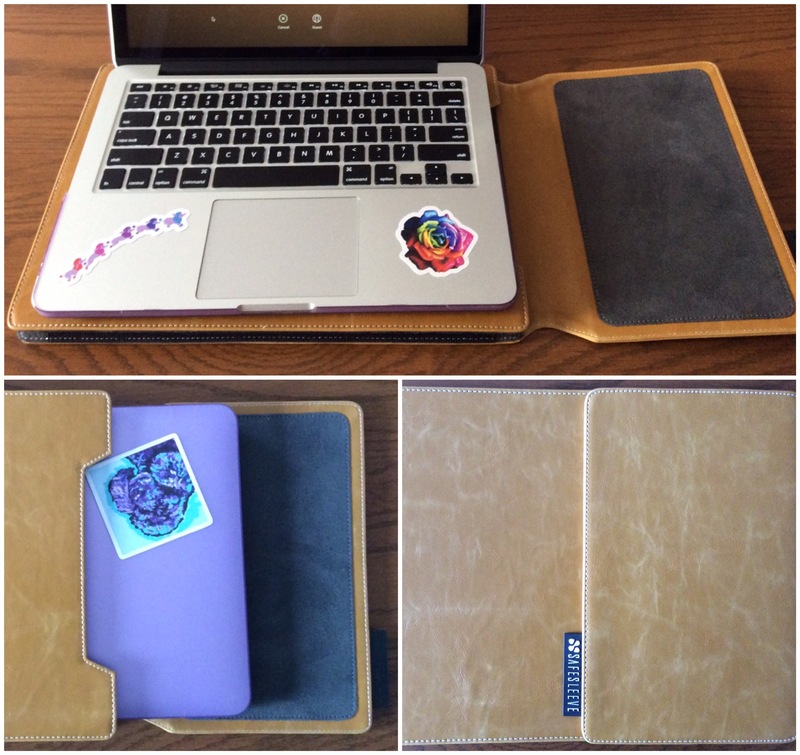 The SafeSleeve makes a beautiful, solid lap desk when you use your laptop. The flap that holds the case closed has a built-in mousepad, furthering the desk-like properties of the case. I found this to be a solid, attractive, professional-looking case. 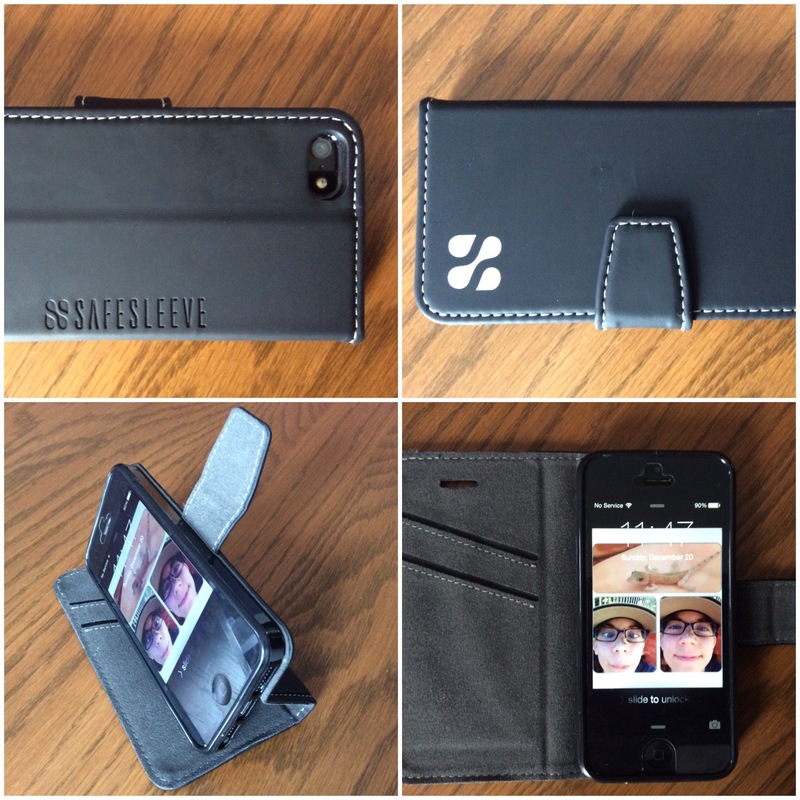 In addition to the laptop sleeve, SafeSleeve sent me several iterations of their portfolio-style iPhone case. They are similar, but the materials are different. 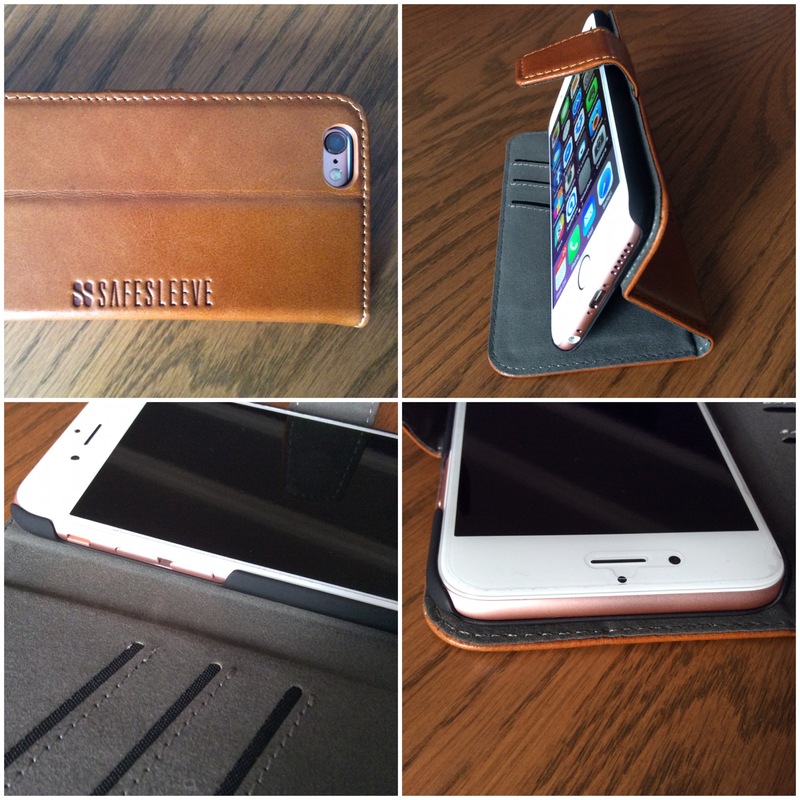 The iPhone 6 case is available in either genuine leather or a neoprene-type faux leather. 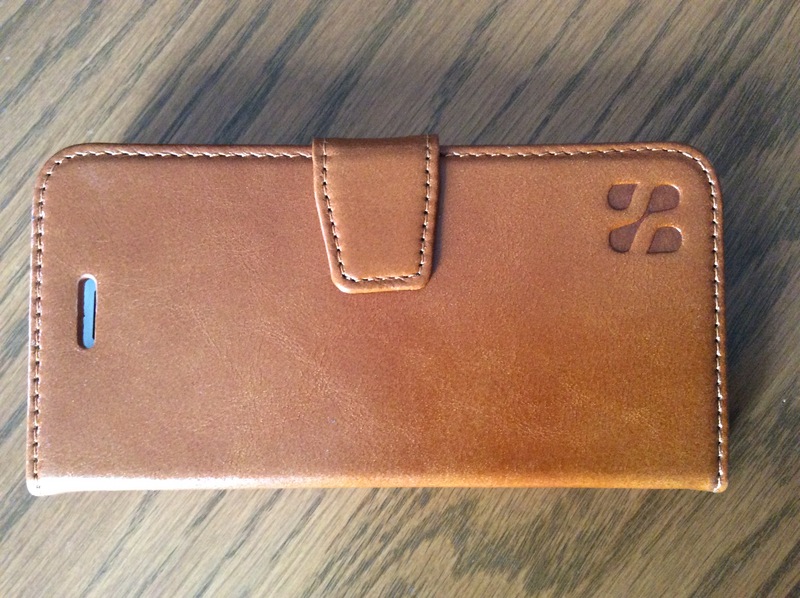 The real leather case has a hard plastic case inside that houses the phone and is flush with the iPhone’s screen. It has large cutouts on the top, bottom, and sides for all of the buttons and ports. The entire top and bottom of the phone is uncovered. Some people may feel this isn’t enough impact coverage, and it wouldn’t be if that was the entire case. But since it is inside of a portfolio, it should be sufficient protection for most drops. The faux leather case has a softer plastic interior case that offers more coverage. Instead of large cutouts, it has precision cutouts for the ports, mute switch, and speakers. It has button covers for the sleep/wake and volume buttons. The sleep/wake button cover is a bit stiff, I find myself pressing it pretty hard to get it to work. But it all works. Unlike the leather style case, it does have a slight lip coming up over the iPhone’s screen. 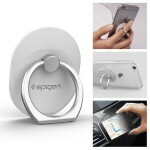 SafeSleeve for iPhone is a portfolio-style case which also acts as a wallet and a stand. There are two slats for cards in the iPhone 5/5s case and three slats in the iPhone 6/6s/6 Plus/6s Plus cases. The portfolio bends to operate as a viewing stand for videos or reading. This is a nice feature, but the flap that holds the front in place magnetically just hangs there when you’re not using it. The portfolio is designed to be used closed when you talk on the phone. Open the case, make or take the call, then close the flap. A tiny hole in the case lets the sound reach your ear, and of course, the speaker holes at the bottom are exposed at all times. Here you can see the hole that allows you to talk on the phone with the portfolio closed. You can read all about SafeSleeve’s radiation claims on their site. I can’t comment on the science, but the cases themselves are quite nice, protective, attractive, and not bulky. SafeSleeve for Laptop 2.0 is available in tan or black, 13’ or 15’, is currently $74.95. SafeSleeve for iPhone in black, gray, beige, or genuine leather tan for $39.95 to $49.95, depending on which iPhone model you need. 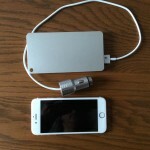 Is the Quarter Super Charge Powerbank the charger for you?